ANS"= Menicure is very trendy to make hands soft, but now it is not enough just for manicure, but what kind of manicure you should do. You have too many options. Now you can tell the beauty expert what manicure you have to do. Likewise, Beauty Expert can also tell their clients about various types of manicures and wish them a favor. This will also have an effect on the Client and you will be able to give them a new look of Menicure. So many types of menikeure can be known. " This manicure is for a handsome hand and which is too much typing or a task which puts more pressure on the hands. For this type of work, paraphin is the best manicure for them. In this, hot wax is applied to the hands, and a little moisturizer is also added. By which the skin of the hair became silky. Oil is also used in some paraffin manicures, such as graphed seed etc., which provides adequate moisture and hands-on relaxation. In this manicure, hands are soaked in the herbs, which is a mixture of herbs and water. Nails and cuticles become healthy. After this, nails are beautifully shaped. After that, the client's favorite color nail paint is applied. The beauty of the hands and sparkles. In this manicure, oil, gel and fresh pepperment are used. By which the skin of the hands is purified and the hair is also found. It can also be called Rejuvenating Hands Treatment. No artificial paint, polish and chemicals are used in this. In this type of manicure, Nails can be given a variety of shapes. Sharp tools are used for this, so manikyorist has to manicure carefully and accurately. Thereby, the client does not have any kind of problem. It's a great and profitable manicure for hands. With this, the beauty of the hands, as well as the goodies of the nails, becomes healthy and soft. Hot Essential Oil like Mineral and Olive Oil etc. is used. This gives relief to rusty skin and broken nails. This is a very popular type of manicure. In this, clean light pink color is applied on the nail paint nails, along with a white nail paint is applied on the tip. From which you get the stylish look and hands get the silk beautiful. Gel Manicure [Gel Manicure]In this type of manicure, the gel is used to apply synthetic nails to the natural nerves. This gel is very durable and makes the nails smooth. 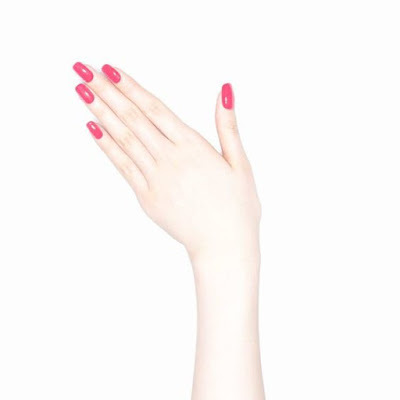 The color of the gel nails is very clearer, which looks like a natural color and gives shine too. If you want this prison, you can also apply it to your natural nerves, they are also healthy and light. Gel nails are similar to acrylic nails, but gel nails are strong and do not have any viscosity.